Our old world recipes for Toufayan Wraps use only top quality, wholesome ingredients. They are naturally cholesterol free and trans fat free. True to the original traditions, we hearth bake each wrap to perfection. Toufayan Wraps are convenient and versatile. We love to use them instead of sliced bread. With so many flavors to choose from, you’ll find just the right wrap to complement whatever you want to wrap inside! Looking for the wholesome wheat wraps in the Chicago land area. Will I be able to find them around here? Hello Ed and thank you for your interest in Toufayan Wholesome Wheat Wraps. Currently there aren’t any grocers within the Chicago area that have Toufayan’s Wholesome Wheat Wraps available to them. However, there are 2 Meijer locations that carry our Organic Sprouted Whole Wheat Wraps. Give them a try! We’d love to hear your feedback. Also, please ask your favorite grocer to add Toufayan Wholesome Wheat Wraps to their inventories or to contact us directly. I really like the Toufayan Gluten Free wraps. I can only eat gluten free and it is awesome to find a wrap that has such good flavor. I use the wraps for a variety of dishes including pizza. Better than other brands I have tried. I know the wraps are fragile as they are gluten free, so they do not have the same texture as gluten wraps. I do have one question. These wraps are limited in the area I live, so I buy them all when I can get them. Can I freeze them if I buy several packages? Hello Diane, we’re really glad you enjoy them! Don’t forget to try heating them up: place moist paper towels over each one and take for a spin in the microwave for about 30 seconds, or place them in a skillet coated in warm butter or oil on low heat for about 45 seconds or until warm throughout. The heat brings out more flavor and helps to make them more pliable. You can freeze unopened or tightly sealed packs for about three months. Ideally there is little or no air in the pack and you chill them in the fridge for a couple of hours before moving them to the freezer. The faster they reach frozen, the better they’ll preserve their freshness. When you are ready to defrost, it’s best to leave them in the fridge overnight and then let them reach room temperature before unsealing them. I purchased a bag of your Savory Spinach wraps this week, as did my coworker (both from different locations). She came in Monday with hers in a plastic ziptop bag and said that she went to pick it up and the bottom opened up and they fell onto the floor. She had to throw at least one out, but was able to salvage the rest of them. I thought it was strange, until today. I went to grab the few that I had left and the bottom broke and they went spilling onto the floor. We just wanted to bring this to your attention, so it doesn’t happen in the future. Thanks for bringing this to our attention. We will have our Quality Control Department look into it right away. The date code is applied by your store manager. Toufayan Gluten Free Wraps have a 30 day shelf life. Please check with your grocer. Hello, My company distributes to about 800 Asian grocery stores in the New York Area. I was interested in buying the Toufayan items to distribute to my stores. Please have a NY Sales Rep contact me. I just wanted to mention I decided to try a package of your gluten free spinach wraps. I don’t necessarily need gluten free but I noticed the wraps had a lower calorie count. I’m sorry to say that I was sorely disappointed in this product as it was extremely dry and fell apart immediately right at removal from the package. This purchase was not out dated as I made it only 3 days ago and it had “sell by” date – July 25 from a Publix supermarket in Jacksonville, Florida. I tried to make do anyway as I really wanted my veggie wrap but the dryness and crumbling made it impossible for me to enjoy. The entire package of wraps was just as dry and crumbly so I ended up discarding the entire thing. I don’t think I will be purchasing this product again. Hi Debbie, we’re sorry you didn’t like our Gluten-Free Spinach Wraps, but we are grateful for your feedback. Gluten is a protein complex found only in breads wheat, barley or rye products. When kneaded and prepared with water, gluten forms into an elastic network giving bread its pliability and softness. Sufferers of Celiac Disease, gluten sensitivity, display allergy-based symptoms that range from mild to severe, after eating breads that contain gluten. Dieters who chose to forego gluten products find that they might lose weight – this is primarily due to the reduction of bread and a more conscientious diet in general. Foods and beverages that do not contain wheat, barley or rye, naturally do not contain gluten. Products that contain wheat can be prepared without gluten, however, this leaves them without elasticity or pliability. Considering the nature of a Gluten-Free bread product, you will find that our Gluten-Free Wraps aren’t as soft and flexible as our Hearth baked Wraps. To make up for this, we recommend that you apply heat (in the microwave with a slightly damp paper towel or over medium heat in a large pan with a little oil or butter until warmed) will help to increase softness. Moisture helps to reduce crumbling. As for a low calorie option, try our Low Carb – Low Sodium Wraps, with only 100 calories per serving. I had the exact same experience as Debbie. I looked all over the package for instructions or suggestions telling folks to “apply heat” beforehand, but there were none. This should be printed on the package. I will try this product one more time, heated, and hope for a better experience. We’ll consider revising the packaging before our next order, thanks for giving us another shot and thank you for your suggestion! Hello Marvin, we appreciate your interest. This barcode is a for a 12″ Foodservice Wrap. These are baked in Ridgefield, NJ. These wraps are typically only available to the general public at farmer’s markets and other special events. We mostly provide them directly to the food service industry. 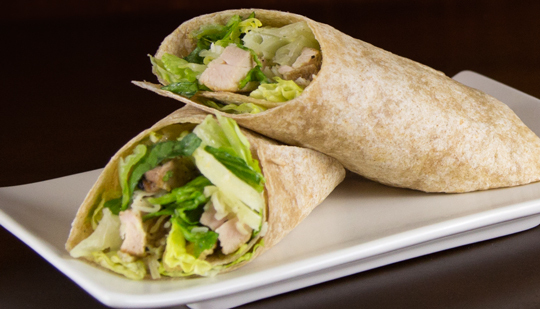 Our 12″ plain wraps have 270 calories per serving. A serving size is one wrap (100g). Thanks for your interest, feel free to ask any other questions you might have! I noticed the huge wraps used at a local deli are your brand. Are those available for the public to purchase? The ones on the shelf are a little small to make a wrap similar to what you can purchase at the sandwich counter. Hello Robin and thanks for your interest. We also love the enormous deli-style wraps, but those are wholesale only. We only sell them by the case – if you contact a sales rep to talk about placing an order, we refer to them as “Food Service” wraps. PLEASE, PLEADE, PLEASE, BRING BACK SNUGGLES! They were superior to hot dog buns and sub buns, hoagies, for hot dogs, for meatball sandwiches, brats, and many others. They held up did not turn to mush. Amen!! They were the best! That’s how I came to this site- i was searching where to buy Snuggle buns. I was wondering if the mono- and di- glycerides in the toufayan hearth baked wraps are derived from animal fat or plant sources? Hello Rachel and thanks for your interest. Thanks again for your question and please feel free to contact us directly or respond here if you have any other questions. Whats the shelf life on all Toufayan products once kept frozen. Depending on how your bread was frozen, how it was thawed and if it was already opened, your expected shelf life will vary. Under ideal conditions, you should get approximately two weeks from the thaw date of properly sealed wraps (and most of our other breads). Less if the original code date was already nearing when they were frozen. I usually try to make sure to use them within 3-5 days after defrosting, to be safe. Freezing is most successful if your bread is well-sealed with no air inside, chilled and then frozen. Thaw at room temperature or colder. Remember, while the refrigerator can keep bread fresh longer and thaw it out evenly, it can cause condensation, which will harden your bread. We recommend chilling only very well-sealed packages. Using the gluten free spinach wraps for the first time. Not sure if I did something wrong by refrigerating first, but the wraps came out thin and brittle. As I rolled my fillings up, the wrap cracked and fell apart. Any suggestions? Layer each wrap to be used on a microwave safe dish separated from one another and covered by slightly moist paper towels. Microwave on high for about 30 seconds or until just warm to to the touch. Add your fillings and roll up while still warm and very slightly moist. Or, heat up a large frying pan or skillet with just enough butter to coat the bottom or a thin coat of spray butter. Place one wrap at a time in the pan and heat on medium-low until the edges start to curl up or the wrap is nicely warm, flipping once to ensure even heat. Again, add your fillings and roll up while the wrap is still warm. Once I started warming them, I found them much easier to work with, even after storing them refrigerated and some fillings just go better with warm wraps anyway! Let us know how it goes. Enjoy. I had the same problem Cathy. The wraps taste pretty good, but are next to useless once you touch them. I’ll try the heating method on the next one I have, but if that doesn’t work, I’ll be trying another brand. Please let us know what works for you, we’re always interested in improving! Feel free to leave any other comments or suggestions you have. I just tried your savory spinach wrap I have to say they are AMAZING!!!! I’m so excited I’m going to go buy more! I can’t wait to try everything else! Thank you for making such a great wrap 🙂 I’m so happy I bought this. The first time I’m using your wraps. They are great. Got them at Food Lion in Sunset Beach, N C. I saw in post above that they can be frozen and your recommendations. Before freezing, what is the shelf life? Wraps are shipped to your retailer frozen and are coded for 45 days shelf life after they thaw. If you freeze them again, they will keep for three to five days after they thaw. Are your wraps available in any of the Illionois stores? Also, can they be frozen for later use if Intake some home from Florida? You can certainly freeze our wraps! You will get the best results if you chill the wraps in the refrigerator for about 20 minutes first. Then, use a vacuum sealer or a freezer bag with as much air removed from the bag as possible (or use the original, unopened package) before placing in the freezer. Don’t place too many wraps in the same bag, increased surface area in the freezer means faster freeze times which result in less deterioration. When you defrost the wraps, place them in the fridge overnight and then allow them to reach room temperature on a flat surface before unsealing them. Once defrosted, it is best to use them within a few days. Let us know if you have any questions, please share your experiences here! Hello, we love your wraps…found them in Myrtle Beach, SC but haven’t been able to find them closer to home (Charleston, SC). Can you help us locate a spot that sells your wraps? Our local Walmart does not carry them. You can find our Wraps at Bi-Lo, Kroger or Piggly Wiggly. Not all stores of a given chain will carry the same products and flavors, so another store in your area may carry Toufayan Wraps. Also, check out our store finder – just click on your state to see stores in your area that carry our products, and hover your mouse over your favorite grocer to see which products and flavors they carry. In Charleston I can only find these wraps at Publix or Food Lion. I hope this helps! Is there any way possible to purchase the 12″ whole wheat wraps for personal, non-restaurant, use? My family moved from Michigan recently to Dallas, TX and I cannot find your gluten-free wraps anywhere. WalMart used to carry them and now they do not and have said they stopped stopped carrying them. Our family of 5 really enjoyed these and it helps make a great on the go meal for the kids. Please please let me know where I can get these. I’m in Rowlett, TX 75089. Thank you! Not all stores of a given chain will carry the same products and flavors, so another Brookshire Brothers in your area may carry Toufayan Gluten-Free Wraps. Also, check out our store finder – just click on your state to see stores in your area that carry our products, and hover your mouse over your favorite grocer to see which products and flavors they carry. Sorry first time user. Are the wraps pre cooked? Our wraps are hearth baked and ready to eat out of the package! At our house, if we serve them with hot fillings, we sometimes warm them up in the microwave for about 20 seconds, separated by sheets of slightly damp paper towels. Some folk like to toast them for a minute or so in a toaster oven. Let us know how you like to eat them! Are lo carb wraps available in the Oregon, Washington area? Just moved here from Oklahoma where I got them at Reasors store. Hello Mike, thank you for you interest. Our wraps aren’t yet available in your area. Albertsons does carry some of our products. Please ask the manager in your local store to stock your favorite products. You can also contact a Toufayan representative via our contact page or email us at info@toufayan.com. Check our where to buy page to see stores in your area and what Toufayan products they carry. Hello Peggy, thank you for you interest. We’re sorry you’re having a hard time finding Gluten Free Wraps in your area. Our Gluten Free Wraps are carried by A&P, Gristedes NYC, Fairway, Foodtown, Gristedes, Hannaford, King Kullen, Shop Rite and Waldbaums. However, not all franchises in a given chain will stock all of our products, even if their sister stores do. Please ask the manager in your local store to stock your favorite products. You can also contact a Toufayan representative via our contact page or email us at info@toufayan.com. Check our where to buy page to see stores in your area and what Toufayan products they carry. I have purchased your wheat wraps here in the Sacramento California region but can’t find them now . My previous purchases came from the commissary at the old McClelland AFB here in Sac . Can you tell me of any other retail outlets in the region . John, thanks for your comment. Our wraps are available in California right now, but please ask the manager at your local Albertsons, Savemart, Sprouts or your favorite grocer, to add our wraps to their inventory. Also, you can contact a Toufayan representative via our contact page or email us at info@toufayan.com. Hello Lizzie, thanks for trying our wraps! You can find them in your local Shop ‘n Save, or check stores in your area here. Located them at Giunta’s Meat Farms but they do not always have the whole wheat flavor. Are there any other stores that carry your products on Long Island, NY? Hi Walter. Thank you for Relyin on Toufayan! You can find Toufayan Wraps in the deli section of your local A&P, D’Agostino NYC, Fairway, Foodtown, Gristedes, Shop Rite, and Waldbaums. I purchased the wraps out of the freezer case at Fareway. Do the wraps need to be refrigerated prior to opening? Package doesn’t seem to make any reference to refrigeration. Also – is there a Best Before code? Hello Collen. Our wraps have a 45 day shelf life after thawing. You do not need to refrigerate these wraps as long as the resealable package is properly closed. Keep them away from heat and with minimal air left inside the package. That said, personally I have put them in the fridge after opening and found that it makes no real difference to the shelf life, what’s more important is that they are well sealed. I assume SL/45 means shelf life is 45 days after thawing. What do all the other numbers mean? To clarify, the Best Before code on our Hearth Baked Wraps, is 45 days after defrost, which is meant to be marked by your grocer. The precise codes generated by each grocer varies significantly. You would get a more reliable explanation from your store manager. Let us know which grocer and we can ask about it. These are my favorite gluten free wrap s and am having a hard time finding them. The local piggly wiggly cant remember who there distribution is. I live in kaukauna wi. 54130. Thanks for your endorsement, Jean! Our gluten free wraps are carried by Meijer in Wisconson. You may also try Country Market, Marketplace, Econo Foods, Family Fresh Market and Woodman’s, whom also carry our products in your area. Meanwhile, we’ll reach out to some representatives who may be able to affect your local market. Thanks again! -p.s., look out for our brand new gluten free pita chips, coming soon to a store near you!